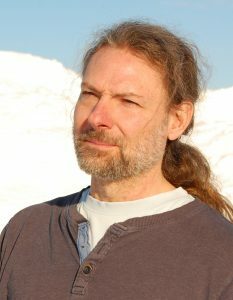 Ulrik Röijezon, PhD, Associate Professor in Physiotherapy at Luleå University of Technology. Board member of Svenska Castingförbundet (the Swedish Casting Federation) and active elite fly caster. At the Swedish Casting Federation, we conduct research and development projects linked to our endeavor, “The Perfect Cast”. “The Perfect Cast” is a broad venture aimed at all who want to learn or develop their ability and performance in casting with fishing rods. This includes all ages, gender, background etc., that is, from the beginner fishermen to the elite casters, with the purpose of raising awareness of the sport and to develop it on all levels. This particular project, which deals with movement analysis, is called MOVECAST and is a pilot project focusing on elite casters in the Swedish Casting Federation’s two disciplines, Fly Casting and Casting. 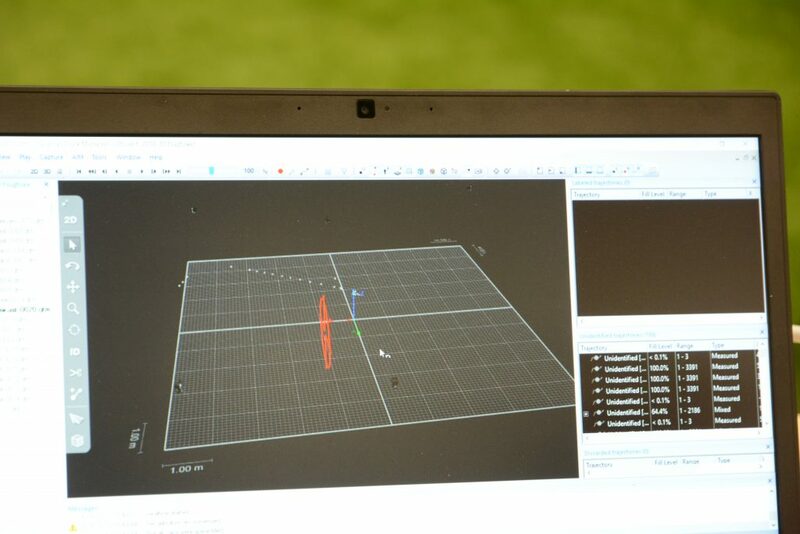 The goal of MOVECAST is to develop methods for analyzing movement, using basic technology such as 2D video cameras and more advanced measurements of 3D movement and muscle activity. The methods are intended for personalized movement analysis of the individual caster and for use in larger research projects. Previously, we have conducted studies on material (fly lines) (Röijezon U & Siikavaara, S. “A Comparison of Distance Fly Casting Performance Between Three 5-Weight Long-belly Floating Lines.” Open Sports Sciences Journal (2012) 5: 118-122.) in which data was gathered at an elite camp in Bosön. We also studied movement coordination in fly casting at Dala Sports Academy in Falun (Röijezon U, Løvoll G, Henriksson A, Tonkonogi M & Lehto N. An Initial Study on the Coordination of Rod and Line Hauling Movements in Distance Fly Casting. Annals of Applied Sport Science (2017) 5(2): 61-72.) Our earlier studies were basically done without funding. We have now received a small grant from the Swedish Sports Confederation to stimulate the MOVECAST pilot project for method developments. Different rods and lines are used in the various events of the two disciplines of Fly Casting and Casting. The Fly Casting discipline has six events with different fly rods and fly lines, whereas the Casting discipline has nine events, three of which with fly rods and fly lines. Some events use single-hand rods and others use double-hand rods. Some events are cast only on water while others can be cast also on land or indoors. At Luleå University of Technology, where I work as an assistant professor in physiotherapy, we have access to equipment that measures movement behaviors. Some equipment, such as the IMU system for 3D motion analysis and the EMG system for muscle activity analysis, are portable and feasible to use in both indoor and outdoor settings. 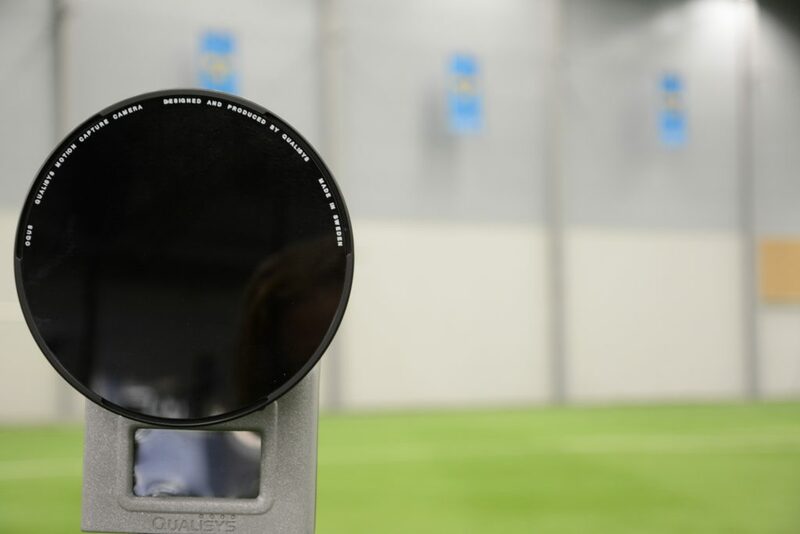 We also have an optic measurement system for 3D movement analysis (Qualisys, Sweden) in our motion lab Human Health and Performance Lab – Movement Science at LTU. Qualisys’ camera system has a higher accuracy and also enables certain movement measurements that we cannot do with the IMU system, for example measurements of the rod tip, the fly line and even the small fly during fly casting. However, our motion lab is too small for assessment of maximum distance fly casting, also, due to our other ongoing projects, the camera system is not easily moved from our lab at this time point. Therefore, we contacted our colleagues at Bosön and the Swedish Sports Confederation for further and deepened investigations into the movement behavior in fly casting. The purpose of the visit at Bosön was to develop and do initial evaluations of methods for analyzing body movements and the movements of the rod, line and fly using a 3D optical movement analysis system from Qualisys. These methods can then be used in future larger research projects to increase the knowledge about the movement behavior of the caster, rod, line and fly during fly casting among expert casters as well as less experienced casters. 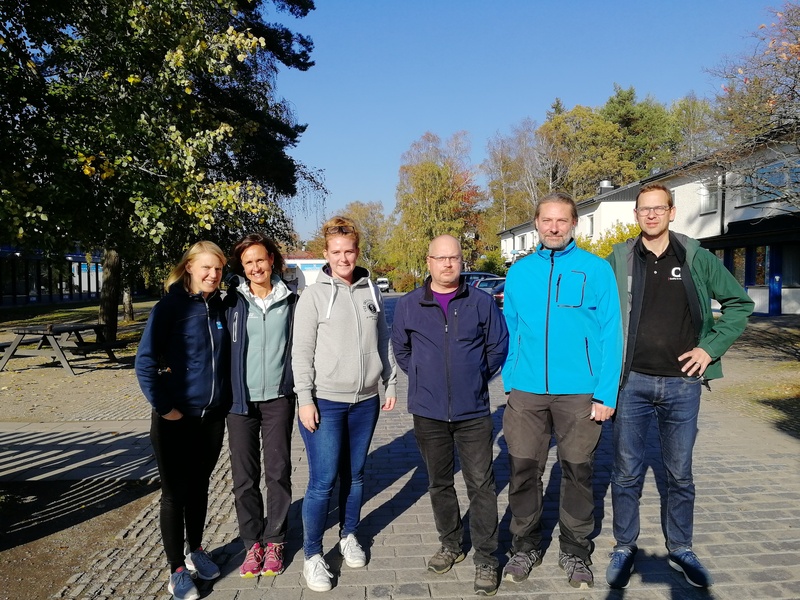 Fifteen elite casters in Fly Casting and Casting participated in an elite camp at Bosön in Stockholm, Sweden, Friday to Sunday 12-14 October 2018. 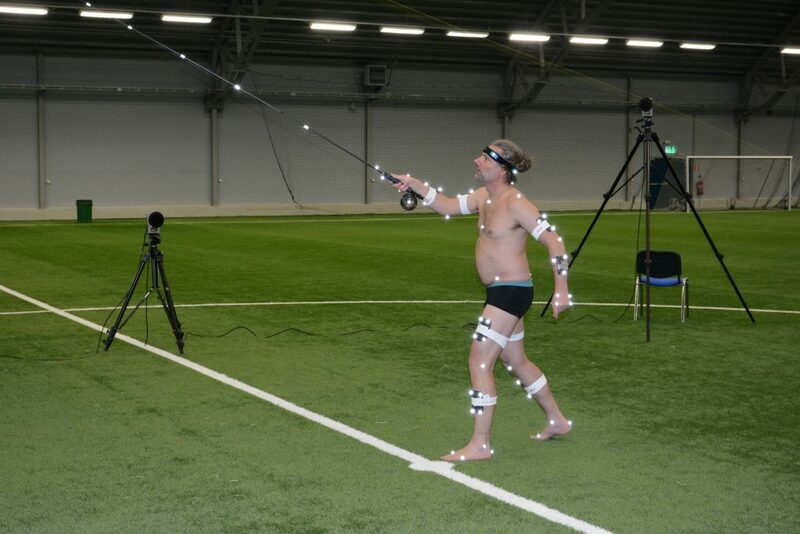 Friday was dedicated to motion analysis with Qualisys’ camera system in the large indoor soccer field “Vinnarhallen”, while Saturday and Sunday was scheduled for training, workshops and conferences with focus on motion analyses in fly casting. 12 cameras (Qualisys 4+ ) were placed on tripods on the ground and 6 cameras (Qualisys 7+) were fixed to the roof approximately 15 meters above ground. This camera setting was chosen to enable a large measurement volume for assessment of the caster as well as the rod, fly line and the fly during maximum distance casting with both single-hand and double hand fly rods. QTM software was used to sample and analyse data. The measurements were performed during each part of the casting sequence, that is, the back cast, forward cast, and delivery cast during the three events: i) Trout Distance, ii) Sea Trout Distance, and iii) Salmon Distance. A 9 foot single-hand rod was used with a 5 weight long-belly fly line (SA, MED) for the Trout Distance measurements, while a 10 foot single-hand rod was used with a 27 gram shooting-head line for the Sea Trout Distance. For Salmon Distance a 15 foot rod was used with a 54 gram shooting-head line. Since we wished to analyze both the body movements of the caster and the rod movements, including the rod tip, as well as the movements of the line and fly we had to experiment with different reflectors. 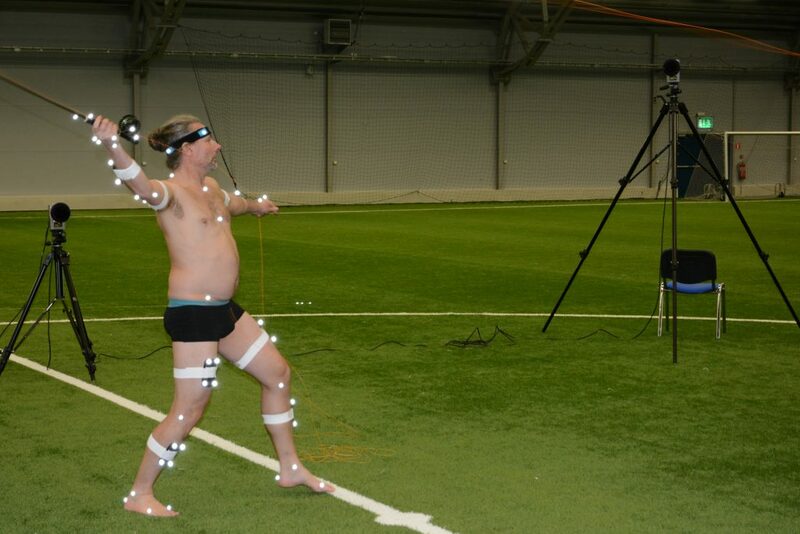 To measure body movements, standard 12.5 mm reflectors were attached to the body parts using a full body model previously developed by Anna Bjerkefors and colleagues at Bosön. To measure movement of the rod and the line we used stripes of reflective tape attached around the blank and the line. For the fly we tried both reflective spray on a piece of yarn and cutting thin shreds of reflective tape. 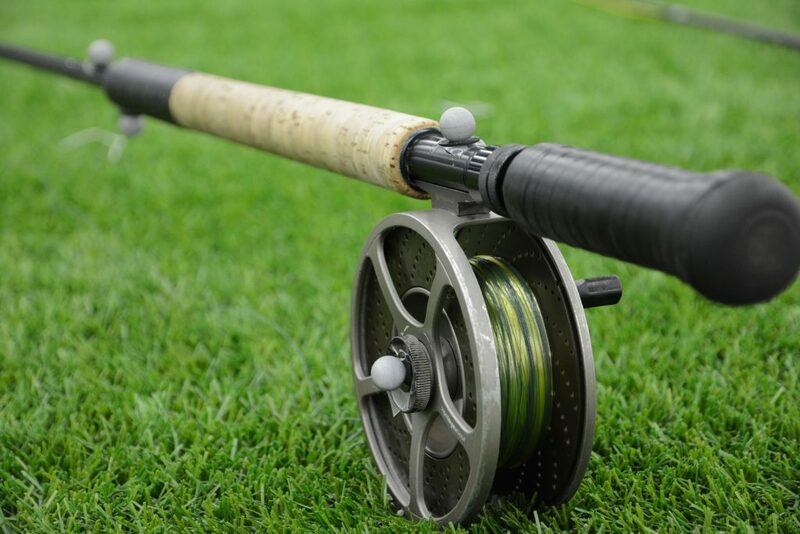 For long-distance casting with single-hand rods, we have previously studied and acquired knowledge on the movement coordination of the caster and the rod, but have limited knowledge of the rod tip’s and the line’s movements. Therefore, it is of interest to measure the fly rod’s and fly line’s movement during the cast (including the double haul, that is, the hand movements pulling the fly line during the back and forward casts). For precision casting using single-hand rods, there are currently very few published studies on the movement coordination of the caster or of the rod’s/line’s movement. Here it would primarily be of interest to measure the movement of the caster and the rod. For casting using double-hand rods, there are currently no published studies of the movement coordination of the caster, nor of the rod’s or line’s movements. Therefore, it would be of interest and relevant to measure all of these aspects. 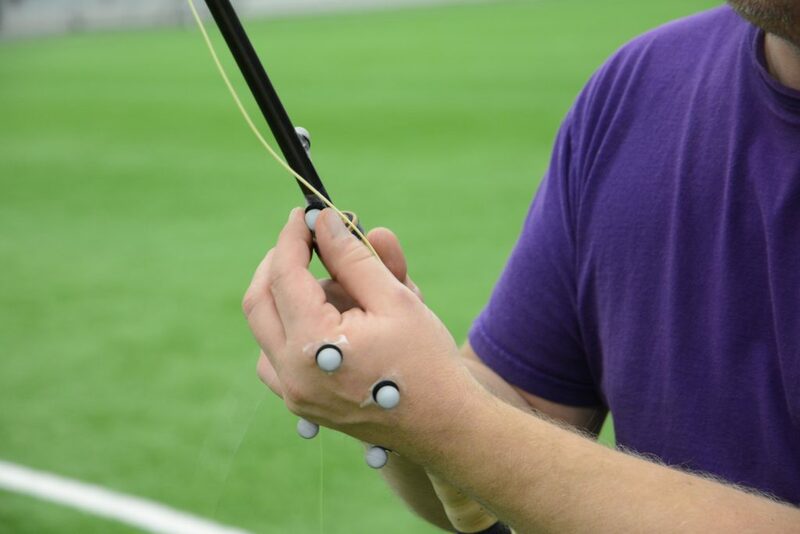 We developed and tested methods for analyzing movements in fly casting with both single- and double-hand rods, using a Qualisys system of motion capture cameras. This initial methodological pilot study resulted in some highly valuable experiences and results that can be used in future larger studies. The results also highlights some of the challenges with measuring fast movements of fairly small objects in a large measurement volume. Our initial results positively showed that we can capture both the full body of the caster, the rod (including the rod tip), the fly line and the fly during fly casting using Qualisys camera system. Larger and more extensive research studies describing movements of fly casting in order to increase the basic knowledge of movement behaviors in fly casting. The plan is to use this knowledge for continued development of the sport and its athletes.